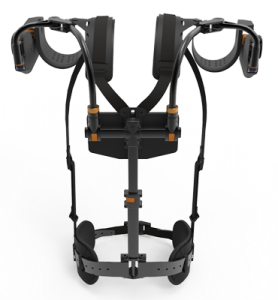 San Diego – (Dec. 12, 2017) – D&K Engineering, an international company providing Total Commercialization Solutions® for products and instruments that have high innovation content and complex manufacturing lifecycles, today congratulates its partner Levitate Technologies for winning CONNECT’s Most Innovative Product Award for its AIRFRAME Exoskeleton designed with Pathway LLC. The AIRFRAME Exoskeleton was chosen as a finalist in the Sport and Active Lifestyle Technologies category from among a field of 76 entries and was chosen as most cutting-edge technology in the field by a panel of 12 local entrepreneurs and scientists. The Levitate AIRFRAME Exoskeleton relieves upper extremity muscle and joint strain and discomfort for professionals and skilled trade workers who are exposed to the repetitive elevation of the arms. The device comfortably provides all-day ergonomic support, reducing muscle fatigue and supporting a healthier worker. “It’s amazing to get this recognition from CONNECT and to be among the most cutting-edge companies in San Diego,” said Mark Doyle, CEO of Levitate Technologies. “What keeps us going as a team is seeing the excitement on our customers’ faces when they trial the technology and realize the health benefit they can provide for their workers.”The AIRFRAME is unique in transferring the weight of the arms from the shoulders, neck and upper back to the core body. The device easily slips on and off the body, can be worn without limiting motion and is comfortable enough to be worn all day. D&K began production of the exoskeleton device for in San Diego in December of 2016 and is expected to ship thousands of AIRFRAMES in 2018 to Levitate’s customers that include world-class organizations like BMW Manufacturing and John Deere. The device initially represented a design and manufacturing challenge because it must naturally mimic a wide range of potential movement sequences while maintaining smooth rotation and supporting gradual activation. Levitate Technologies, Inc., is dedicated to improving the lives of active professionals and skilled trade workers. Its team is made up of highly accomplished inventors, entrepreneurs, executives and private investors. The company works very closely with world-class industrial organizations and supports them with expertise in manufacturing and health and safety engineering. CONNECT’s Most Innovative New Product Awards annually honors San Diego’s celebrities of innovation along with groundbreaking new products launched and brought to market within the past two years. The Most Innovative New Product Awards is San Diego’s most exciting night in innovation – celebrating the best of the best, cutting-edge technology in life science and technology products and recognizing the ingenuity and entrepreneurial determination that keeps San Diego at the forefront of innovation.